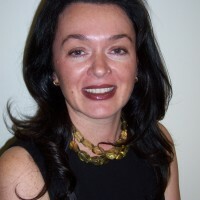 Rebecca Porta is Chief Executive of Orchid. She has led significant organisational growth since joining the charity in 2008. Under her leadership Orchid has campaigned for better cancer care and developed a range of services for people affected by or interested in male cancer including the Male Cancer Information Nurse programme launched in September 2011, regional Roadshows, specialist Factsheets, health and education programmes. She has successfully implemented a communications and marketing strategy to increase awareness of male cancer and encourage early diagnosis amongst at risk groups. In 2009 she launched the first annual Orchid Male Cancer Awareness Week – an event which is now firmly established in the health awareness calendar. Rebecca is involved in a range of collaborations and special interest groups to improve public health and cancer prevention. These include Network for Patients, Cancer52, Cancer Campaigning Group (CCG) and the Prostate Cancer Charter for Action (PCCA). She sits on the Advisory Panel of the PEPC (Patients Experiences of Penile Cancer). Rebecca and her team have diversified and developed new funding streams with support from individuals, trusts and foundations, events and the business community including the pharmaceutical industry. 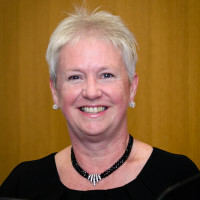 Rebecca’s career in the voluntary sector spans over 20 years and she has worked for some of the UK’s leading health and medical research charities including The Multiple Sclerosis Society, The MigraineTrust, CancerBACUP (now Macmillan Cancer Relief) and the British Lung Foundation. During this time she delivered ambitious fundraising and marketing strategies to ensure ongoing growth and to support the development and delivery of national media campaigns, research and scholarship programmes and patient services. Before moving into the voluntary sector, Rebecca worked for Harrods Ltd completing the retail management course and working within the Homewares Division for 3 years. She has a degree is Ancient History from the University of Kent. Rebecca is a member of ACEVO (Association of Chief Executives of Voluntary Organisations), the Institute of Fundraising, the Chartered Institute of Public Relations (CIPR) and sits on the Committee of the CIPR Health & Medical Group. She sits on the Board of Cancer52, an alliance of 80 organisations working to address the issue of inequality for rare cancers. She supports The Guggenheim Museum – New York, The Multiple Sclerosis Society, The MS Trust and is a member of the Institut Français and Italian Cultural Institute. Ferha is responsible for raising funds from trusts, foundations, statutory and lottery sources for Orchid’s work. Ferha has over 20 years’ experience of generating income from these sources and assisting our funders to support an area of Orchid’s work that interests them. 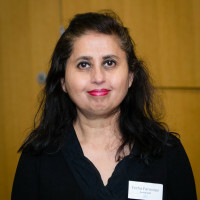 Ferha joined Orchid in April 2013 from Maggie’s Cancer Caring Centres where she worked as a Senior Partnerships Manager responsible for raising high figure funds from a range of trusts, foundations and other sources. Before that she worked for the British Lung Foundation raising funding for people living with long term lung conditions. Prior to this she worked in a similar capacity at Fairbridge, a youth charity and Royal Mencap for people with learning disabilities. Ferha’s background has also been in the arts sector where she worked for many years raising funds for a variety of arts and cultural centres including Chisenhale Dance Space a charity devoted to the research and development of new Dance forms. Margaid joined Orchid in autumn 2014, to support the trust team in raising funds from trusts, foundations, lottery and statutory sources. 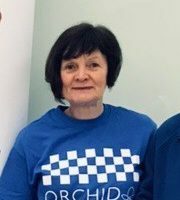 She entered the voluntary sector straight from university and has been in variety of fundraising and volunteer support roles over a 30 year period, in a range of charities including Help the Aged, Imperial Cancer Research Fund, UNICEF, and Maggie’s Cancer Caring Centres. Her experience of working with trusts was gained initially through writing proposals at UNICEF, then as a volunteer helping secure Big Lottery funding and other grants for Home-Start Haringey where she was Chair, and later at Maggie’s. Working part time enables Margaid to continue her voluntary work within her local community, and she currently sits on the committee of Haringey Aquatics with responsibility for fundraising. Margaid enjoys working with trusts and foundations, and the challenge of trying to find new supporters for Orchid’s work. She is very happy to help a trust with additional information, or in any way she can. Ali joined Orchid in September 2017. This post is part of the programme “Changing lives – engaging black African and Caribbean men at risk of or affected by prostate cancer, as well as men from disadvantaged communities” funded by the Big Lottery Fund. Ali has successfully developed, implemented and managed health awareness programmes for black and minority ethnic communities at the British Heart Foundation, Prostate Cancer UK and the sexual health charity Naz. He is Chairman of the charity, Cancer Equality. 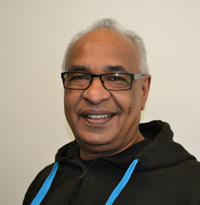 He has a wealth of experience in targeting and working with communities to improve health outcomes and engaging healthcare professionals. Ali is also a qualified social worker and trained nurse. Julia joined Orchid in October 2018. Julia is a qualified Sexologist and has a wealth of experience with marginalised communities around Community engagement in areas of health and wellbeing, sexual orientation and gender identity. Julia has worked in the voluntary and statutory sector both here and in Montreal, Canada. In her free time Julia likes reading about personal financial growth and entrepreneurship. Frank is responsible for the Sports and Education. Frank studied Law before moving onto Westminster City Council’s Children’s Services. Whilst there he oversaw the development of their Ofsted registered childcare and community provision. Before joining Orchid he worked on the Change for Life health initiative in Tower Hamlets as well as consulting on a range of educational programmes in Westminster, Kensington & Chelsea, Camden and Hammersmith & Fulham. He has transformed our educational output, developed our National Male Cancer Roadshow programme and increased our presence among schools, community groups and youth agencies. He oversees our Community Golf Programme which uses golf as a means to engage children and their families in important male health issues. As well as golf, Frank enjoys running and has successfully completed the Amsterdam, Rome and Berlin Marathons. He has contributed articles for numerous golf media outlets. He is a member of the KPMG Golf Business Community and the Pan Charity Education Working Group. Katherine Mutsvangwa supports Orchid as a part-time Male Cancer Information Nurse. Katherine was born in Zimbabwe and came to the UK in 1990 to train and qualify as a Registered General Nurse (RGN) at Princess Alexandra and Newham School of Nursing and Midwifery – Royal London Hospital. She knew during her nurse training that she wanted to be a specialist cancer nurse and has worked as one since she qualified in 1993. During her nursing career she had an opportunity to become a Grasp (workload measurement tool) Project co-ordinator for cancer services. In this role she trained all the staff and rolled out the project out in all cancer wards within the given project time frame. She worked carefully with all ward managers in cancer services, finance managers and the matron to identify patient care activities, identify the nursing skills required to meet patient activities and to help set up budgeting with the findings. In 2000 she received a BENTLEY award following this post at Barts and the London Hospital for being the best nurse and best achievement as a Grasp Project nurse. In 2001 she specialised in Haematology Oncology Nursing. In this role she became interested in new treatments for cancers and wanted to spend more time educating, supporting patients and relatives undergoing cancer treatment or with a cancer diagnosis. In 2004 she had an opportunity to work as Research Nurse funded by Orchid, specialising prostate and testicular cancer. In her free time she enjoys gardening, sewing and doing some DIY. She teaches bead jewellery making and sewing in summer and half term holidays. Rob Cornes is the Orchid Male Cancer Information Nurse. 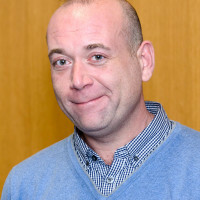 Rob qualified as an Registered General Nurse (RGN) in 1991 at Barking Havering and Redbridge Hospitals NHS Trust (BHR) where he had undertaken his training. He began work as a staff nurse on the urology ward and continued to work within urology at BHR for the next 12 years culminating in the role of Charge Nurse from 1997-2003. He left the ward in 2003 and took up a position as a Clinical Trials Nurse through St Bartholomew’s Hospital, a post partially funded by Orchid. In 2004 he became Uro-oncology Clinical Nurse Specialist at BHR and remained in this post until 2013 where he was the designated key-worker for anybody diagnosed with a urological malignancy. Over the last 13 years he has met literally thousands of men affected by male cancer and gained a valuable insight into the sort of information that they need. He is an active member of PHASE; a large support group based in Essex for men and their families who have been affected by prostate cancer. 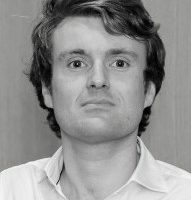 He is a firm advocate of both written and verbal information, having learnt from experience that both make a huge difference for patients and their families. In his spare time Rob enjoys 40’s and 50’s music, reading esoteric non-fiction and strumming his Gretsch guitar. Suresh has over 30 years of experience in cancer nursing, and extensive experience in cancer information through his work with the NHS, Cancer Backup, Cancerlink, Prostate Cancer UK, Macmillan and Orchid. Throughout his career he worked tirelessly helping hospitals and other health facilities improve their service provisions, making them culturally appropriate and sensitive to the needs of the patients’ religions, customs and cultural. In 2013 he was awarded a Queen’s Medal Diamond Jubilee award for his work and contribution within the NHS and voluntary/charity sector. His area of specialisation being prostate cancer — Suresh was the UK’s first Black and Ethnic Minority to be appointed as a Cancer Information Specialist (CIS). He has played a vital role providing specialist nurse support at Male Cancer Roadshows across the UK. Evelyn Henderson has worked in the NHS for over 40 years. She worked in the cancer unit in Edinburgh for 12 years including further training at the Royal Marsden Hospital. 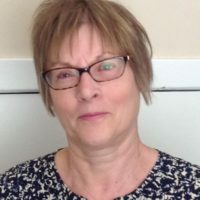 The next 30 years saw her working in psychiatry delivering health education and/or therapy to individuals, groups and working with others from across different disciplines. Evelyn qualified as RGN, RMN, CPN and CBT therapist. She retired 2 years ago but retains her interest in cancer and those affected by the disease. Elizabeth Reid has been a registered nurse for over 40 years. Following training at the Royal Marsden Hospital she was a Senior Charge Nurse in Scotland – with cancer nursing within her remit. She also acted as advocate for a patient support group within her speciality. 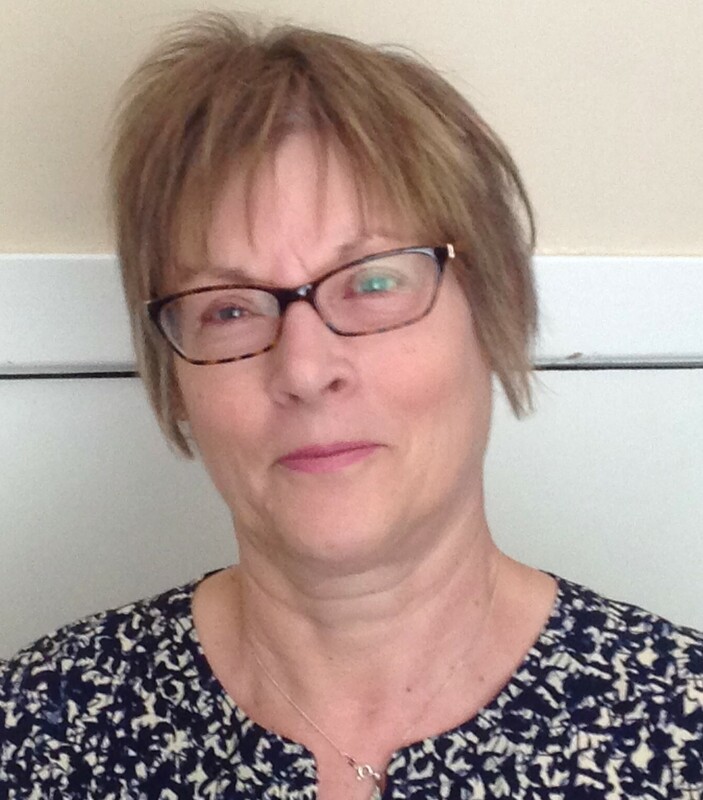 Elizabeth recently retired from nursing but retains her interest in cancer and is particularly keen to support Orchid’s work in addressing the issue of the higher incidence of penile cancer in Scotland.